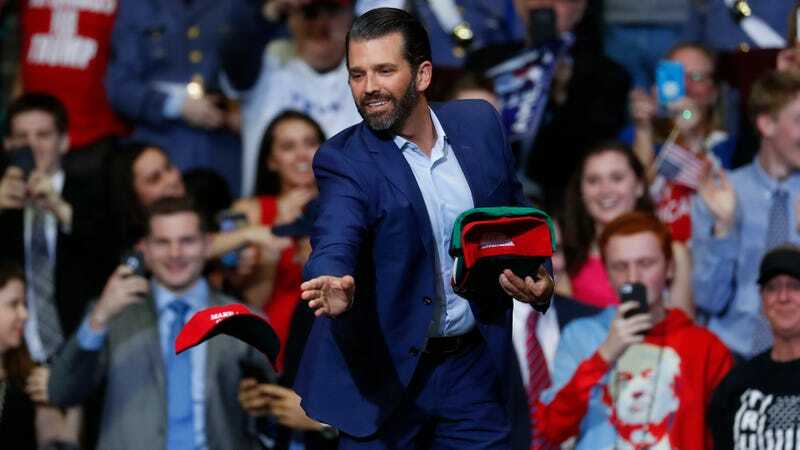 Before President Trump took the stage on Thursday night at a rally in Grand Rapids, Michigan, his very largest adult son Don Jr. warmed up the crowd, doing what he does best: telling bad jokes about Democrats in the weird, throaty screech that is his “campaign” voice. And it’s clear that, moving into 2020 with a resurgent left flank of the Democratic Party, Don Jr. is looking for a new villain and seems to have found one in Alexandria Ocasio-Cortez. The Republican obsession with (and fear of) Ocasio-Cortez has reached levels of such absurdity that an uninspired schoolyard chant is a natural next step, symbolizing how powerless right-wing cynics are in the face of Ocasio-Cortez’s popularity.